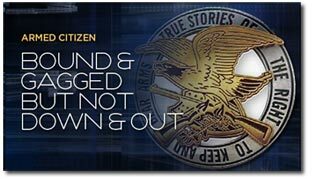 For more EXCLUSIVE Armed Citizen stories, including from the Armed Citizen archives, and to comment on these stories, go to The Armed Citizen Blog. If you have a firsthand ”Armed Citizen” experience, call NRA-ILA PR/Communications at (703) 267-1193. I entend to purchase a handgun and get a license to carry a concealed handgun because I no longer feel secure in my home here in Parker county. There are many reasons for this feeling the 1st on my list is distrust of the majority of the sherrif’s department and their agendas toward the citizens of this county. I do not feel protected at all.